Leaping Leopard Enterprises, LLC, 9780997316469, 380pp. The gruesome death of Anabel Simpson, a retired archaeologist living in a small college town, had rocked her friends and neighbors and stymied the medical examiner. After all, she had been a quiet woman known for her ornate garden, Holstein knickknacks and stories of her days exploring ancient ruins. Little did they know, it was all a cover for a woman with a terrible secret steeped in treachery, jealousy and murder. But Anabel's secret began to unravel after Jennifer Stevens first visited the crime scene. Then came the bank robbery, followed by the armed intruder in Anlon Cully's home and the ransom demand for the safe return of Pebbles McCarver. For Anlon, Pebbles and Jennifer, the ensuing chase to solve the mysteries hidden by Anabel's carefully crafted persona is a perilous journey with rapid-fire twists and turns. It is a hunt that stirs up old terrors and new, leading to an epic showdown with an ancient tyrant, the discovery of a priceless, prehistoric treasure and the haunting truth about sweet, little Anabel. Curse of the Painted Lady is the third installment in The Anlon Cully Chronicles series, a thrilling saga of ancient myths, mystical relics and murder. It is the conclusion of the mystery first explored in Shadows of the Stone Benders and continued in Race for the Flash Stone. 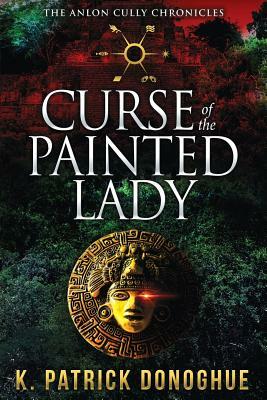 Fans of series from Dan Brown, Douglas Preston & Lincoln Child, and James Patterson will most appreciate the blend of murder mystery, archaeology and fantasy baked into Curse of the Painted Lady and the preceding installments of The Anlon Cully Chronicles.